Why Should You Join Wizard Uninstaller Affiliate Program? The Wizard Uninstaller works and provides real results for real people. We pay you 75% of the revenue when you refer someone to us - that's $20.06 per sale! We do all the selling! All you need to do is send traffic to us and we will take care of the rest! It's 100% free to join our affiliate program. Try it and see what you think! A variety of affiliate resources including banners, keywords, and marketing tips! We are committed to helping you become a successful affiliate and are always available to answer your questions. Email us any time, 24/7, and we'll get back to you within 24 hours. You need to be a Clickbank Affiliate in order to promote this product. 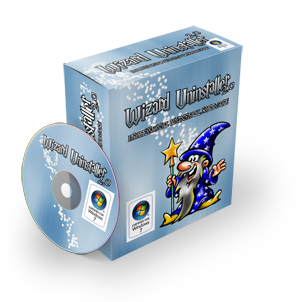 Follow these easy steps to begin promoting Wizard Uninstaller. If at any time you are unsure of what to do, please don't hesitate contact us. Step 4: Join our Affiliate Newsletter and get regular tips and techniques to really explode your sales. For added inscentive, when you join our Affiliate newsletter you will get over 500 PLR articles that you can use in your marketing campaigns. It's the same old answer - "How long is a piece of string?" But to put it into perspective, most beginner affiliates can generally generate 5-10 sales a week to begin with depending on how committed and how much work they put in. On the other end of the scale, experienced affiliates will generate well over 100 sales a week no trouble. It really depends how much time and effort you are willing to put in with affiliate marketing. ClickBank is the Internet's premier retailer for digitally delivered products. From ebooks to software, they offer a vast array of digital goods. ClickBank is the pioneer in selling digital products worldwide through the leverage of over 100,000 talented and proven affiliates. They provide a highly secure, scalable, and fraud resistant environment for e-commerce. Hint: Group smaller groups of keywords into more targeted adverts. This will boost your conversion dramatically. Pay Per Click - Pay Per Click advertising is a form of advertising where you pay for visitors on a cost per click basis. The advertiser creates small advertisements that go live immediately but can be modified or deleted at any time. With such a flexible model, PPC can be an extremely effective advertisement method that brings loads of targeted visitors to your affiliate link. Email Marketing - Send an email to your email list recommending Wizard Uinstaller by providing them with your affiliate link. ONLY SEND THIS TO YOUR OPT-IN LIST. SPAMMING is not Allowed - ClickBank will close your account instantly if you do so. We will be providing example emails that you can use through our affiliates newsletter. Blogs/Web 2.0 - Create a free blog at sites such as Blogger.com, WordPress.com, Squidoo.com, about Wizard Uninstaller, including your affiliate link. Subscribers to the newsletter will get a list of over 200 Web 2.0 places you can use to promote. Forums - Join popular forums & make contributions to popular threads. Make sure that have your "signature" appear when you make a post. Make a signature that includes your affiliate link, or a link to your website or blog. That way, every time you make a post, anyone who sees it will see your signature and potentially click on your affiliate link. Bum Marketing - A popular technique that gives you free traffic by easily ranking high in search engines for highly targeted keywords. It's called BUM Marketing. A full, and free, description can be found at BumMarketingWorld.com and this will greatly help you get affiliate sales with hardly any work at all. This is a must for those of you who want to make money with an affiliate program without spending money on PPC Ads. We will be providing example articles that you can use through our affiliates newsletter. We are always testing the best wasy to genrate traffic and convert it. Join our newsletter to learn what we we learn. Also get the latest resources including Articles, Emails, and other sthing to explode yoru sales. For added inscentive, when you join our Affiliate newsletter you will get over 500 PLR articles that you can use in your marketing campaigns. Use the easy form above.